Man or Woman in the News: A portrait of a central figure in a news situation. It is not primarily analytical, but highlights aspects of the subject’s background and career that shed light on that figure’s role in the current event. Reporter’s Notebook: A writer’s collection of several anecdotes or brief reports, often supplementing coverage of a major news event like a summit meeting or an important trial. The items provide glimpses behind the scenes that flesh out the reader’s sense of a major story. Memo: A reflective article, often with an informal or conversational tone, offering a look behind the scenes at issues or political developments. The article (with a title like Political Memo, White House Memo or Memo From London) may draw connections among several events, or tell the reader who or what shaped them. Journal: A sharply drawn feature article focusing on a place or event (and labeled with the place name, whether foreign, national or regional). A Journal article is closely observed and stylishly written, often light or humorous in tone. It is intended to give the reader a vivid sense of a place and time. News Analysis: A close examination of the ramifications of an important news situation. It includes thorough reporting, but also draws heavily on the expertise of the writer. The article helps the reader understand underlying causes or possible consequences of a news event, but does not reflect the writer’s personal opinion. Appraisal: A broad evaluation, generally by a critic or a specialized writer, of the career and work of a major figure who has died. The article often accompanies the obituary. Review: A specialized critic’s appraisal of works of creativity — movies, books, restaurants, fashion collections. Unlike other feature writers, critics are expected to render opinions in their areas of expertise. The news sections also present a number of regular feature articles that carry labels indicating the topics — for example, the Saturday Profile in the foreign pages and Market Place in Business Day. Editorial: A sharply written, generally brief article about any issue of public interest. Editorials are written by the editorial board of The Times, which includes the editorial page editor, the deputy and assistant editors, and a group of writers with expertise in a variety of fields. While the writers’ opinions are of great importance, the editorials also reflect the longtime core beliefs of the page. Unlike the editors of the news sections, the editorial page editor not only reports to the publisher, but consults with him on the page’s positions. Editorials are based on reporting, often original and in-depth, but they are not intended to give a balanced look at both sides of a debate. Rather, they offer clear opinion and distinct positions. Editorial Observer: A signed article by a member of the editorial board. These articles have a more distinct personal voice than an editorial. They often reflect personal experiences or observations, and may be written in the first person. These articles are not intended to be policy pronouncements, but do not contradict the board’s positions. Op-Ed Column: An essay by a columnist on the staff of The Times, reflecting the opinions of the writer on any topic. Columnists are expected to do original reporting. Some travel extensively. Op-Ed columns are edited only for style and usage, not for content. Columnists do not submit their topics for approval, and are free to agree or disagree with editorial positions. Op-Ed Contribution: An article by a person not on the staff of The Times, reflecting opinions about a topic on which the author is an expert or has provocative and well-reasoned ideas. These articles, most of which are solicited by the editors, are not intended to reflect the positions of the editorial board. Indeed, the Op-Ed page is seen as a forum to air diverse and challenging viewpoints. Have students create an infographic to go along with their research paper topic. From Text Messages to Essays…. My husband and I were out to dinner this weekend at a local hibachi restaurant and we were seated with a group of high school girls. I would guess they were freshman or sophomores. The girls spent the entire dinner on their cell phones or making comments about each other, which my husband could not understand. “Why are girls so catty?” he kept asking me. I, on the other hand, was fascinated by the care they took when crafting their text messages. One of the girls was in the middle of some sort of fight with a boy and every time he texted her they all crowded around her phone and dissected his short text messages. But what I was intrigued by was the time they spent in crafting the perfect response. “What should I say?” the girl with the cell phone asked her friends. This took about three or four minutes. But I’ve been thinking about it ever since. These girls took such care to choose exactly the right words and punctuation in order to convey the tone they desired. They knew what they wanted the audience (the boy) to think when he read the words they crafted. How do we get these girls, and all students, to care this much about the writing they do in the rest of their life? I don’t just mean in school- having a teacher read your essay isn’t exactly a real audience. But what about the words they write online? The Facebook updates, the tweets, the tumblr posts…..all of these deserve the same care in word choice and punctuation. We need to capture this scene and transfer it to all writing. Posterous is a lot like tumblr but I find it to be a bit more academic. There are more controls (moderated posting and moderated comments for instance) but the ease of use is still there, which is key. And the best part, for teachers, is that students can email work directly to the blog account and with a quick once-over I can post them. It’s practically instant! I gave my students the option of publishing this last writing piece and about 25% of my freshman followed through. Those who chose to publish are thrilled with the response and love getting comments. If you are interested in taking a look, the essays can be found here. Where online do you publish your students? I’m always looking for more outlets and I’d love to hear from you! 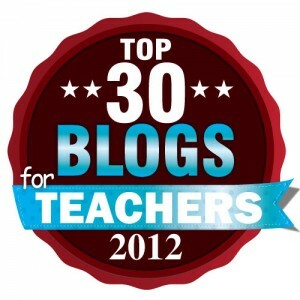 Cisco Blog » Blog Archive » Flipping the Classroom – Is it Really all About Technology? Finley lives in Bellmont, a dying town where racism, the Irish mob, and poverty are a part of life. Finley is one of the few white kids in his high school, where his team mates refer to him as “White Rabbit” because he’s the only white guy on the varsity team. He’s a hard worker who may not be the best on the team but just may be the most disciplined and most dedicated. He hopes that basketball will be a way out of Bellmont for himself and his girlfriend Erin, who is a fantastic basketball player. They practice together all summer in preparation for their senior year. But things take a turn for the bizarre when Coach shows up one night and asks Finley to look after a new student (and hopefully a new member of the basketball team). Russ is a weird kid. Coach explains to Finley that his parents were recently murdered and since then Russ has been shutting the world out. He’s moved back to Bellmont to live with his grandparents and get a fresh start. But when Finley meets him, he realizes that Coach was not entirely truthful. It turns out Russ is one of the top-rated high school players in the country, or at least he was. Now, he refers to himself as Boy21 and has a bizarre obsession with outer space. Oh, and he no longer has any interest in basketball. Coach wants Finley to look after him and convince him to play basketball again, even though that means Finley will probably lose his spot on the team if Russ decides to play. And then something terrible happens to Erin, and Finley and Russ must deal with the tragedy and loss in their pasts, and the possible losses they may suffer in the future. 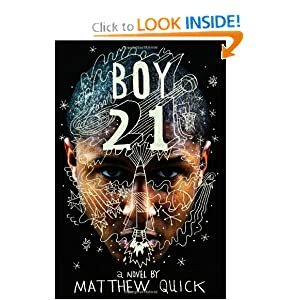 As my student said so eloquently when he handed back our classroom copy of Boy21, this is a book about life. Smart, funny, raw, and touching, it’s a book I can confidently recommend to all of my readers, from reluctant to voracious. The characters are real and their lives are not perfect. I found myself wanting to dive between the pages and rescue Finley, Russ, and Erin. But at the same time, I knew that none of them would allow themselves to be rescued. Boy21 is a book I am looking forward to handing to a lot of my John Green fans, because Quick’s book is smart and witty while still making the reader’s heart break and put itself back together again. In which badguys and I attempted to make a map of Panem.